This special, highly limited collector’s edition 7-Inch contains two rare, never before released and never before completed Misfits tracks predating 1997’s “American Psycho” album. 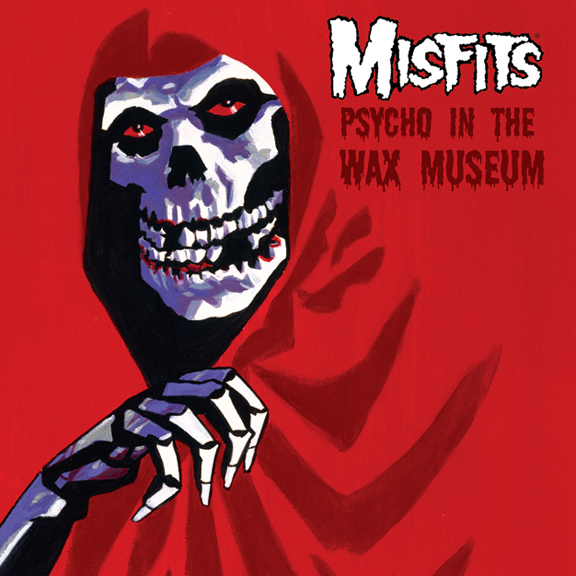 Both songs were written by founding member Jerry Only and properly recorded by the Misfits in their entirety prior to the release of “American Psycho” but the vocal tracks were never recorded. For that reason, the recordings were shelved and left in the vaults, seemingly never to be heard. The rough mixes in their original instrumental form, untouched and exactly as they were left over a decade prior to surfacing here, were restored from a deteriorating source, digitally re-mastered and archived in this vinyl 45 “wax museum”. 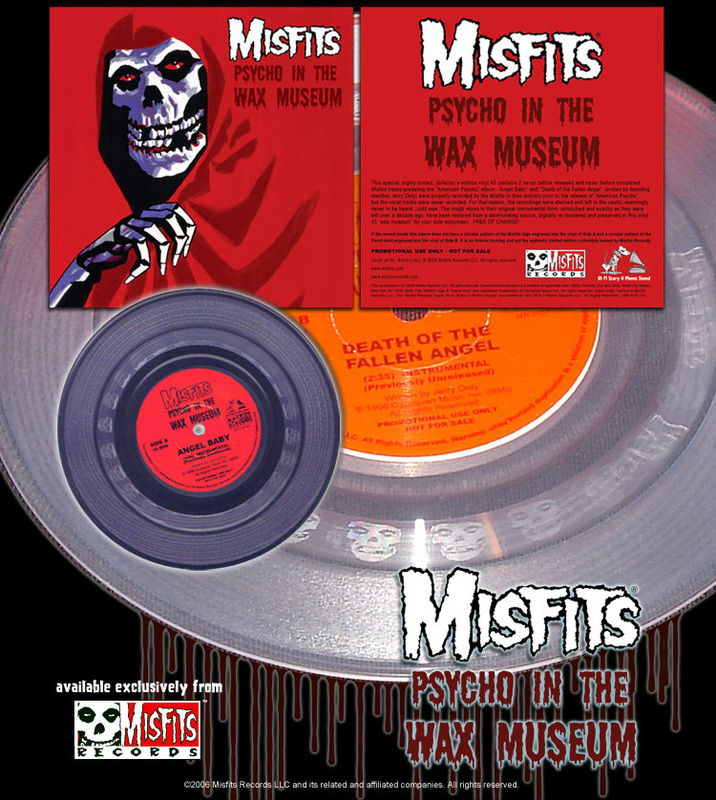 The clear vinyl single includes a circular pattern of Misfits logos laser-etched in the vinyl of Side A and a circular pattern of Misfits Fiend Skulls laser-etched into the vinyl on Side B. This feature authenticates each record as being one of the original; highly limited edition 45s issued by Misfits Records and protects fiendish collectors from being fooled by any potential bootlegs that may surface. This promotional only 45 includes a full color cardstock sleeve with artwork by Butch Lukic and is NOT available for sale. To receive this free promotional single, fiends were required to mail in 3 proof of purchase seals (each included individually) from the Misfits Records releases: “Misfits Project 1950”, “Balzac Beyond the Darkness”, and “Osaka Popstar and the American Legends of Punk”. The offer officially expired on October 31, 2007. The single has been discontinued and out of print since. 2,000 units pressed (2006), no re-pressings.